September 15-October 15 is traditionally observed as Hispanic Heritage Month. We will feature stories from Hispanic Americans who will share their journeys, their struggles, and their successes. Many of our guest bloggers were/are also First-Generation College Students. A First-Generation College Student is defined as a student whose parents didn’t attend college; or is the first person in their immediate family to attend college; or neither parent has at least one year of college. Coming to the United States from Peru 32 years ago, as a young Latino knowing no English was a scary proposition. Learning the language was the first step if I was going to make it here. Dealing with the change of my environment, leaving loved ones behind, finding new ways of support and never giving up on my own dreams were the motivators. I quickly learned that English was a tricky language, similar words, opposite meanings, one word with multiple definitions, etc. etc. It was challenging, but it took a college professor telling me that I was already ahead of others to learn the language… it was a wake up a call…how could that be? He pointed out that classmates from other countries who had different alphabets trying to learn English just like me…my advantage? In Spanish, we already have the same ABC’s. Now it was time to learn English with a different mindset–an open mind. In addition to learning the language, the economic challenge was my number one fear. I knew I could do it, but how would I pay for it? How long would it take? Knowing that you can only take the classes you could afford made the process longer, but still a possible one. Once you ask and see people in similar situations like yours, it is not uncommon to create your own support system, find ways to collaborate, share resources and be there for one another. That’s how I began to make my way and face the challenges head on. As I developed my support network here in the U.S., I also knew I had my family behind me. Having the encouragement of your family is always great. In my case, my parents always said “you can do this,” even if they did not know what I was learning specifically. Their emotional support (all the way from South America) gave me the courage to push myself. I knew that sacrifices were being made in my family to keep my going, knowing that someone else was giving something up, so I could have that opportunity gave me confidence to persist. I am forever grateful to my parents, their unwavering love, support and their constant message to always pay it forward and to remember that if you are having a rough moment, always know that there are people out there in worse situations than yours. They taught me to be grateful, even for the bad times…because those teachable moments only made me stronger and they are just part of the learning process called ‘life’. One way I’m able to give back through my work is in support of my community. 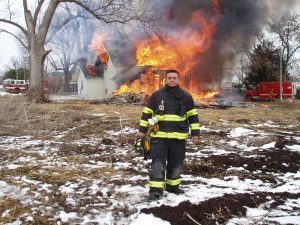 I gave 21 years of service as firefighter in Iowa, retiring as a Fire Captain. It was always a way for me to give back to the state/country that has been so great to me and my entire family. As a Latino, I know many of the unique aspects our community faces as we look toward education and career success. This month, as we celebrate Hispanic Heritage Month, I’m proud to reflect on what it means for so many. For my entire family, it is a celebration of who we are as people, as different nations, our food, our values, our beliefs, all within one large culture. We continue to learn from our ancestors, our traditions, our common stories and the connections we have with other families, other countries and the history behind it all. A true testament that as humanity, as people from different backgrounds, we are all connected. We just need to look deeper to find the similarities we have, rather than our few differences. 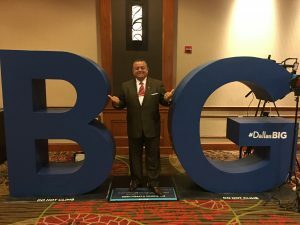 Juan Garcia is director, client relations at ACT. In this role he brings his passion to work with other organizations helping students and families connecting them to ACT and creating meaningful partnerships, fulfilling ACT’s mission of helping people achieve education and workplace success. Juan has a Bachelor’s Degree in Business Administration (B.S. ), is a graduate of the Harvard Business School Executive Education Program, The University of Notre Dame, Mendoza College of Business Transformational Leadership and Florida State University, Hispanic Marketing Communications Program.